Decleor Aroma Sun Expert High Repair After-Sun Balm for Face is a 100% natural, 100% delicious balm, to be applied to the face and savoured after returning from the beach! The skin is repaired overnight, feeling soothed and supple in the morning. For an enhanced and longer lasting tan. 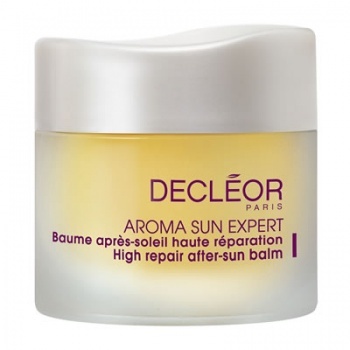 Decleor Aroma Sun Expert High Repair After-Sun Balm for Face has a melting and delicious blm that is instantly absorbed in the epidermis without leaving a trace.